Buttercream Cake Decorating on CW23's "Winging It"
As always, we had a great time on "Winging It, Buffalo Style" this morning. We brought our friend, Shannon Pilarski of Creative Creations Cakery, and shared her delicious Italian Meringue Buttercream recipe. How adorable are the cakes we did?! For the video of the segment, click here! We love decorating cakes with buttercream for different reasons. While fondant gives you options, buttercream is rewarding and beautiful. Case in point: the Buttercream Petal Cake. Frosting a cake is a breeze with Italian meringue buttercream. It’s light texture is a great frosting for wedding cakes. You can add preserves to give it a different flavor and color for your special event. Make sure the butter is at room temperature before you begin! This is a great recipe from local cakery, Creative Creations Cakery! Wedding Planning - Buffalo Style! Leave it to the KC You There and Winging It Buffalo Style teams to have the crazy idea to plan a wedding in less than 2 weeks! When they asked if we wanted to be a part of it, we did not hesitate to agree to be on board with providing the dessert for such an event. When it comes to planning a wedding, one of the most fun elements (especially from our point of view) is planning the cake! We're teaming up with our favorite, Creative Creations Cakery, to design a one-of-a-kind wedding dessert experience. Lately, brides have been opting for a dessert table feel for their wedding. However, you don't have to go crazy with different desserts. Depending on the size of your reception, you can pair a smaller tiered cake with levels of cupcakes to give it dimension and your guests choices. We will be sharing the planning process as we prepare for the wedding Friday, LIVE on CW23 at 8am - On Twitter, follow Team LP @lolapearlbakes and KC @kcyouthere! We see art everyday in everything we do. We also love to see your pictures! If you have a creative picture of something you've made, or something that inspires you, send it to us! 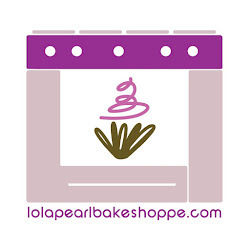 Email askLP at lolapearlbakeshoppe.com! Be creative!! Valentine cookies are easier than you think when you have store-bought sugar cookie dough, heart cookie cutter and melting chocolate. Follow our easy instructions after the jump and we will help you with a great last minute Valentine's Day treat! We're all about the art of the swirl and the scroll at LP. This video shows the fluidity of scrolls at their Valentine best. We hope you enjoy and get inspired! Move over box-o-chocolate cookies, there are cupcakes on the block that are stealing your adorable shine. These cupcakes are just in time for Valentine's Day, and need to be in our possession ASAP. Watch this awesome video of the amazing Vanessa Sullivan in action! Now THAT's a Valentine's Day cake! Valentine Cupcakes on Winging It, Buffalo Style! Watch our segment making homemade buttercream for conversation heart cupcakes this morning on Winging It, Buffalo Style! A Special thank you to SweetApronzNCupcakes for the adorable Valentine's Day apron! We love the hearts and this shot of Lindsay from the set! Easy Recipes for Valentine's Day! Planning to make sweets for your sweetie this week for Valentine's Day? Look no further - we've got all the recipes you need! Simply add a marble to a cupcake tin filled with cupcake liners, fill and bake according to the cupcake recipe. Frost with pastel-tinted buttercream and pipe on your favorite saying. Or, forget a saying and decorate the cupcakes as a romantic heart! Happy Baking! Our hearts melt for these Valentine's Day cookies and cream cupcakes. Small fondant hearts are an adorable edition to the delicious bunch. 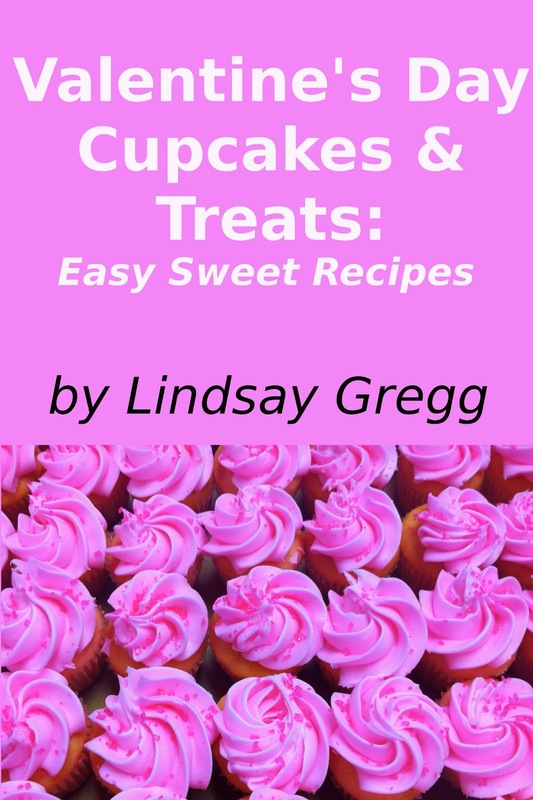 DIY Valentine Cupcake Decorating eBook! DIY Valentine's Day Cupcake and Treats!! 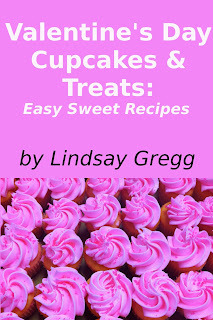 8 Easy Valentine's Day Cupcake Recipes! Valentine's Day is For Lovers and Loved Ones! Forget diamonds and trinkets, give them the gift of sweetness this season with some tasty cupcakes and other treats. Here we have 8 of some of the best and easiest Valentine's Day recipes you can make. As with all of my guides, the directions are easy for anyone, even a novice baker. So don't worry what to get your significant other, mother, brother, grandmother, boyfriend, girlfriend or buddy this year for the big day. Buy This Book and you can make an individual Valentine's Day Treat for each and every one of them. From scratch and from the heart! Download our newest ebook today! To make these precious cookies, whip up a batch of our LP royal icing! Don't forget a pair of puckered up lips for your fondant prep this month!! In the beginning, it was all about the star tip swirl. As the years passed, Team LP has developed a strong affection for the art of the (open tip) swirl. Add some Valentine heart sprinkles, and you have yourself a swoon-worthy Valentine treat.